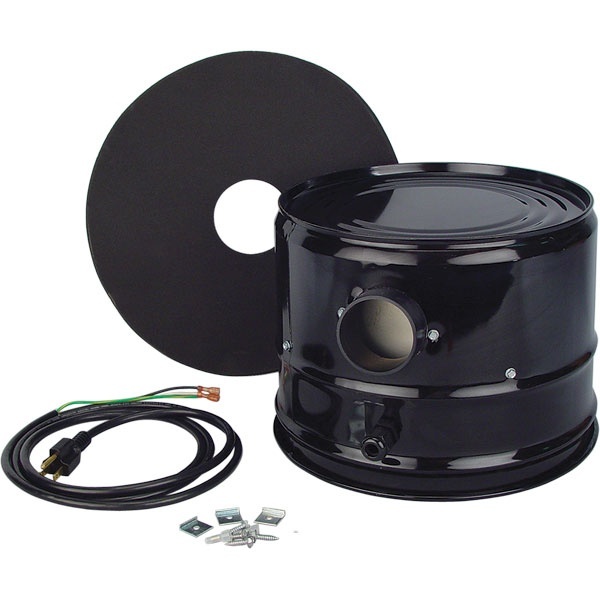 Convert your old-style Vac-34 Vacuum (prior to 1999) to a "QUIET" Vac. Only 72-76 decibels - this is about half the sound level of your original Vac-34. Kit includes: new Blower Guard Cover with inner baffle and sound deadening, special coupler to seal electrical cord, new electrical cord (8'L 18/3), gasket to fit between top bucket and top cover to cushion sound, sealed outlet ferrule, mounting hardware, and instructions. 11" diameter, 8-3/4" high. Made in USA. Service & Delivery comments: Prompt deliver; well packed.